Squirrel Control & Squirrel Removal Services! Squirrel Removal from an attic in and around St Joseph, Benton Harbor, and Stevensville, MI is a very common service that many wildlife control operators perform during the spring and fall of the year. Squirrels will become a nuisance pest by entering attics in your home in an attempt to find a suitable place to have their squirrel babies. Squirrels in this area of Michigan will have up to three litters of babies every year. Most homes that have problems with squirrels will continue to have squirrel related issues until the house is properly squirrel proofed. Commonly squirrels are removed be performing a squirrel exclusion. A Squirrel Exclusion is a process of putting a barrier completely around the house so a squirrel cannot gain entry into an attic. A Squirrel Exclusion is most often done with metal. The use of metal is the preferred material because of its impenetrable structure that squirrels are not able to chew through with their very sharp teeth. Squirrel exclusions should be performed by a knowledgeable and skilled wildlife control operator in order to ensure that the work is done properly if an exclusion. This will ensure the exclusion is done correctly to remove the squirrels and prevent any type of squirrel reentry. If not done correctly it will ultimately fail and the squirrels will regain entry into the attic or worse will be forced into the living space of the home. There have been countless times a homeowner has had an animal in the living space after having a handyman attempt to take care of their animal problem. 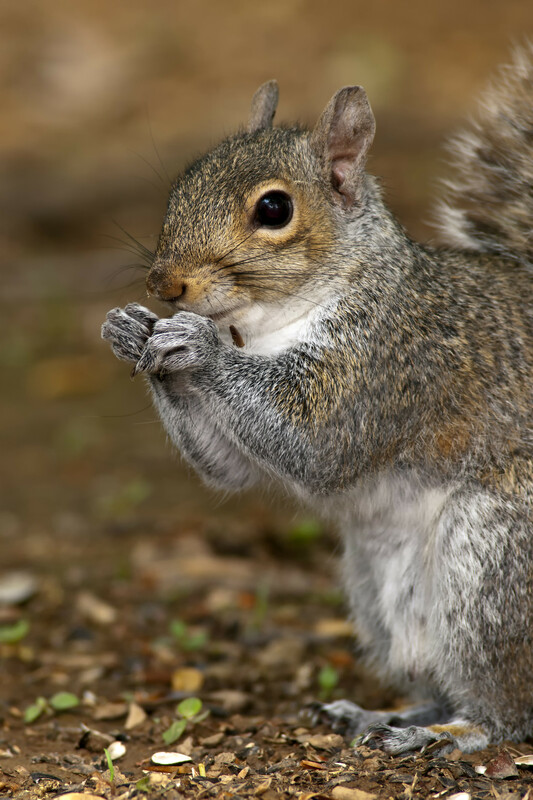 Hayman Wildlife Management Squirrel Experts can effectively solve all types of Squirrel problems throughout Stevensville, Benton Harbor, St Joseph and surrounding Michigan cities. What type of sounds do I hear? Most often home owners call with complaints of hearing sounds in the walls, or ceilings. A good indication that you may have a squirrel problem would be hearing scratching noises in the attic portion of their home, and also complaints of hearing scampering in running sounds in the attic. Sometimes these sounds may sound very loud and can be very alarming if you hear these sounds above you in middle of the night. What Should I do If I have a Squirrel in my Attic? Most wildlife removal companies will come out and do a thorough inspection of the exterior and attic area of your home to diagnose the problem. This evaluation will include what type of animal is in the home, how the animal accessed the home and where in the home is the animal living. Once it has been determined what type of animal and how the animal got into the home it will be determined the best method to remove the animal. If it is determined a squirrel exclusion is the best method to get rid of the squirrel several measurements will be taken, with other factors taken into consideration such as height of the home, length and width of the home are all factors combined when determining an accurate cost of an exclusions. 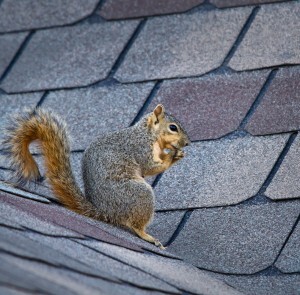 If you have a squirrel in the attic or in any other part of your home, we can evaluate your home and determine what, how, and when the animal got into the home and what the best method of removal would be. Give us a call today for a no obligation wildlife inspection don’t let the squirrels of Stevensville, Benton Harbor, and St Joseph take over your home call Hayman Wildlife Management today at 269-588-0176.